Hi, I'm Cheryl with C-Line and I love fashion. That's why I'm excited to show you our reusable envelopes in our new Bold Basics Fashion pattern. Fashion is fun, and C-Line keeps your documents organized with a unique pop of color with this eye-catching design. C-Line's reusable envelopes are made from acid-free polypropylene, and are perfect for organizing and transporting your letter sized documents in style. As part of our Bold Basics Fashion Collection, these reusable envelopes have a clear front for a cover sheet, and a patterned back to keep your documents private and confidential. The envelopes load from the long side; the zipper closure keeps your documents safe and secure. Each envelope store up to 200 8 1/2" x 11" sheets. Bold Basics reusable envelopes are excellent for inter-office communication, and for storing your school projects, reports, paperwork, and more. They're a fashionable way to organize your home, school, and business. Order yours now. That's all we have for today. I'm Cheryl with C-Line, thanks for watching. Check out the video to discover the fashionable yet practical features of C-Line's Bold Basics Zip N Go Reusable Poly Envelopes. Mailing letters has never been easier! 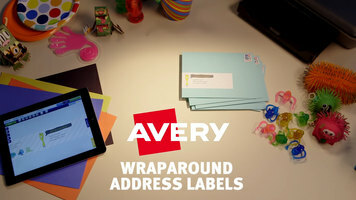 With Avery Wraparound Address Labels, you can easily customize and print professional labels with a convenient wraparound design. Check out this video to learn how! 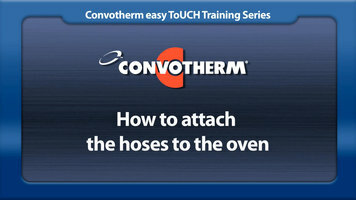 Attaching the ConvoClean and ConvoRinse hoses to the back of your oven is simple. Check out this video to see a quick demonstration! 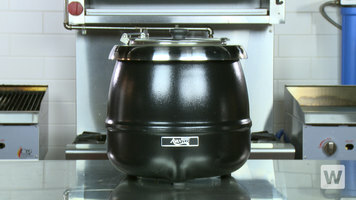 Watch our short video to learn how to properly use and maintain your Avantco S30 soup warmer so that it will operate at optimum levels for as long as possible.